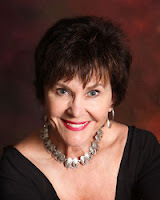 Rebecca Dahlke publishes a thriving Mystery Newsletter. She's here with us today to talk about how she started it. In 2010, I started an e-newsletter for mystery and suspense authors. It ran, free of charge to the authors until December 2011. I decided to let it go because: 1) authors just weren't with me on how effective this kind of advertising could be, and 2) I had my own books to write. So I put the website in mothballs, but kept the Facebook site, the yahoo group (which is where authors meet to talk about promotion, and readers come to see what authors are talking about.) 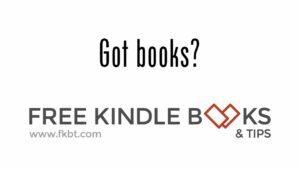 and Good Reads group for Indie and small press promotion, and a Twitter account. Since then I have put four mysteries up on Amazon/Kindle, and because I understood that my books are a product, I also began a six month quest for the best, and most effective, form of advertising. It didn't take me but a nano-second to see that All Mystery e-newsletter's time had finally come. I ticked off the obstacles for resurrecting this e-newsletter against the fact that it might take some time to gain momentum. Then realized I already had all of my requirements for a good promotion site: I still had my list of readers from last year's e-newsletter, and I had a Facebook page, Yahoo and Good Reads groups, and Twitter with a small army of Re-Tweet pals. Great information. I'm definitely looking more into this after my next book comes out. I like how Rebecca turned a concept around and found a new way to help authors and readers connect. The genre specificness helps keep attention span and readers know they are more likely to be interested in the content.